Pam’s quest for truth has had a dramatic positive impact on her curiosity of life and fueled her spiritual evolution. 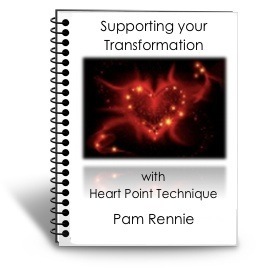 Pam is a gifted and uniquely-qualified Heart Point Technique Master, IET® practitioner, Alchemist and Channel. She draws both Master healers and those who are just embarking on their spiritual journeys into her embrace. 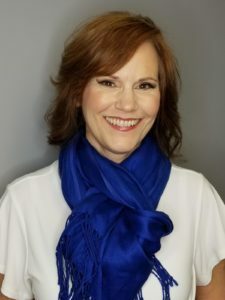 Through the discovery of a variety of spiritual energetic healing modalities, she released blocks and limiting belief’s from her own life, awakened her spiritual gifts, and developed a passion for empowering others. Many synchronicity’s led Pam to the work of Mastering Alchemy. It was here where she became reacquainted with the Archangels and connected with the Sacred Heart. It is through (re)building her Personal Power Field and the tools and teachings of Alchemy; where she is still an active student that have catapulted her Spiritual Awakening aligning her more fully with who she is and what she came here to do. In personal sessions Pam uses an “in the moment” approach as she connects with clients drawing from her tools as an Alchemist, Heightened Intuition and her wisdom as a Heart Point Technique Master as her foundation. Her role as channel is the central point of her personal evolution and foundation for assisting others. Pam serves a worldwide clientele in releasing habits and limiting beliefs, awaken spiritual gifts and much more, both in private sessions or courses such as Creating Your Personal Power Field. Sessions and courses can be in person, over the phone and internet. With the Archangels and Ascended Masters are her guides as she continues to expand and evolve both personally and in her role as a way shower. Pam lives in Gwinnett County, Georgia, with her husband, Jim and the youngest of 4 children. The Role of Mother and now Grandmother have been an import part of Pam’s journey. An impassioned lifelong dog owner, Pam refers to her Dachshunds Cooper and Jack as her fur-kid.